10 proven and easy steps to developing massive confidence! 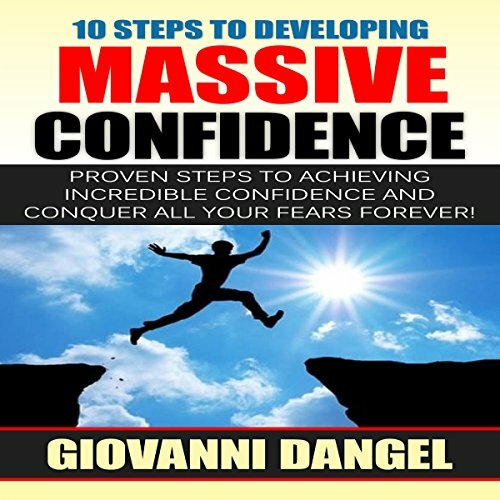 This book contains proven steps and strategies on how to develop your self-confidence. Confidence is a skill which can be used in day-to-day life which can enable you to do extraordinary stuff in life. Life is too short to waste in regretting things which couldn't go our way or becoming fearful and anxious about events which are out of our control. Being confident will enable you to manage your fears well and get out of your comfort zone to do things which really make a difference in your life and help you in becoming stronger. Becoming confident and comfortable in your own skin is a never-ending process, it's all about the journey and not the destination. This is a self-development skill, it's not a goal or a destination which you need to reach and then relax. You need to play to the best of your abilities and your confidence will be able to support you throughout. Try to widen your skills, try new things or take the road less taken. The things already available to you might easily turn from familiarity into boredom and indifference. Trying new things will expand your horizons and keep you geared up and energized. Being confident or over-confident is an entanglement to be stayed away from in the event that you blend humility with your eagerness. Going for perfection in all of your work can paralyze you and become a hindrance in completion of your goals. Being a perfectionist can make you unhappy and prevent you from completing your goals. Afraid? How to stop it now! No more fear of rejection!